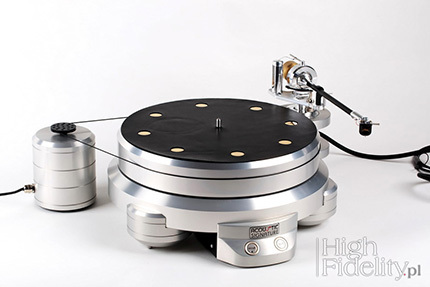 torm Mk2 firmy Acoustic Signature, along with the cheaper Challenger Mk3 and the more expensive Thunder Mk2, belong to the subgroup of the company's turntables, which we call mass-loaders, with a minimalist chassis. Except for the Triple X all cheaper models in the offer feature a classic look, ie they sport a rectangular base, are also relatively light, and all the more expensive ones are rather heavy, but their chassis are extremely elaborate, in the top model Invictus its chassis actually turns into a full size rack. The Storm Mk2 can be equipped with three motors and / or three arms. For an additional armbase one has to pay 880 PLN, and the for the motor 2960 PLN. The look of the Storm Mk2 turntable is quite distinctive and refers to the iconic turntable by Michell Engineering. Its base is round and has a diameter slightly bigger than the platter. The latter is 50 mm high, the base is 45 mm, hence the Storm Mk2 looks really solid. This impression is emphasized by large feet, which slightly stick out outside this contour. And that was the idea – to minimize vibrations, and at the same time having a large weight. The German turntable weighing 31 kg meets both of these assumptions. The Acoustic Signature, led by Mr. Gunther Frohnhöfer, develops quietly, without any rush, applying modifications and changes based on their experience with the new models, but also on feedback from their customers. Probably this was an origin of idea for the 2nd version of the Storm deck. The original version we tested in the "High Fidelity" in 2012. The Mk2 version came out a year later and is still on sale. The basic construction element of AS turntables is the main bearing called Tidorfolon. 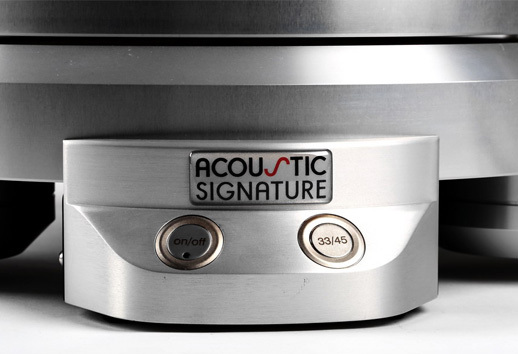 We describe what it stands for in each Acoustic Signature test, but it does not hurt to repeat the basic information. Tidorfolon is relatively soft but extremely abrasion resistant. It is an alloy of vanadium, Teflon and titanium, from which the bad for a hard ball is made. The latter is fitted into a hardened steel axle. The bearing linings are made of sintered bronze which is self-lubricating and therefore maintenance free. These elements work together so well that after they have been fitted together, fifteen minutes is enough for failure-free, precise operation for ten years without interruption. The second characteristic feature are the so-called "silencers". These are brass rolls mounted near the perimeter of the plate, serving to damp it and give it more weight. We find them in most turntables of this manufacturer, and the more expensive model the more of them it features. There are eight of them in Storm Mk2. The Silencers minimize vibration near 15 kHz by 80 dB, and with them the resonance decay takes less than 20ms, just 1/10th the time of an undampened platter (more HERE). Golden discs, clearly cut off on the top surface of the plate, simply look nice, so it's no wonder that manufacturer decided to cut out holes in the optional leather mat to keep them visible. Additional damping of the platter is provided by a damping material fitted to the bottom. The Mk2 differs from Mk1 also with a larger platter weight and improved power supply, now in Beta DIG version. The control panel looks very interesting because it seems to be part of the chassis while it actually does not really touch it, preventing the vibration from being transmitted to the turntable. There are two buttons - on / off and change the speed. It is a pity that there is no LED indicating this change, so we do not know at what speed the platter turns. This control panel was used previously in Challenger. The reviewed unit sport a more advanced version of power supply, costing an additional 3060 PLN, Storm PS-1. It's a small, solid box that can be placed somewhere far away from the turntable. The Storm Mk2 can be used with 9 to 12 inches tonearms. 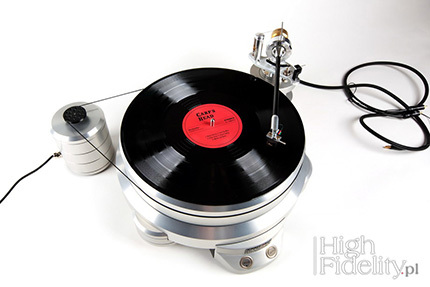 At one time, AS offered their turntables with arms manufactured for them in an OEM system by, among others, Rega and SME, but in October 2014 they introduced their own tonearms: TA-1000 (9, 10 and 12"), followed by the next ever better models: TA-3000, TA-5000 and costing almost 78,000 PLN, TA-9000. The tested unit featured the 9 "(6160 PLN) version of TA-1000. This is a pivoting tonearm with gimbaled bearings and the precise miniature bearing are made by the German company SKF. The arm tube is made of carbon fiber and is extremely durable. It owes it to its specific structure – there is inner and outer tube. There are three connecting elements along the whole length of both tubes. 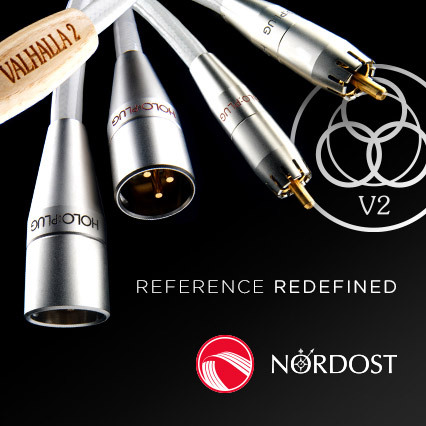 This creates a very rigid tube but still having a high damping and resonance poverty and it is also very light-weight. The arm offers all the classic adjustment, including VTA and azimuth. The latter is implemented in a precise way. Just near the bearings, where the arm is mounted to the aluminum element, one has to unscrew three screws and turn the arm within the +/- 5º range. In turn, adjusting VTA is very simple: unscrew the clamping bolt in which the column of the arm moves and move it up or down. After finding the correct height, screw the screw back. The downside is that this operation is that it can not be performed "on the fly", only with the raised arm, and since there is no scale it is difficult to set precise setting. The arm is wired with the 1877 Phono cable that runs from pin inserts to the solid nextGen WBT plugs. Together with the arm we receive tools helping in setting up the tonearm and cartridge. With them the pickup calibration is quite simple. The Storm Mk2 was reviewed with Miyajima Laboratory Madake cartridge and RCM Audio Sensor Prelude IC phonostage. I used exactly the same components a few days before when reviewing Kronos Pro Ltd. (in Polish) with additional power supply, although Kronos was placed on the Franc Audio Accessories Modular (in Polish) rack while Acoustic Signature on Finite Elemente Pagode Edition, in exactly the same spot as the three-motor Thunder Mk2 (in Polish) one did. The deck rests on three massive, adjustable feet. Since the top shelf of Finite Elemente rack is made of a soft wood I decided to use Acoustic Revive SPU-4 under the feet and CP-4 under SPU-4. I used Storm Mk2 also in my reviews of: Soundsmith Zephyr MIMC and Hana SL cartridges. Usually when reviewing turntable I decide to use one of the Pathe Wings clamps, that differ with the material they are made of and thus their weight. This time I preferred the sound without any clamp. It was faster, more open and focused. The clamp added some more weight to the sound and reduced the width of the soundstage. You should try it yourself as your preferences might be different than mine. Those of you who had the opportunity to see me in the Premium Sound showroom in Gdansk did not quite get what I promised them. The meeting called “Touched by High Fidelity”, part of Tour de Pologne, on the one hand, was an opportunity to present the Emerald HF speakers, including my sound preferences, on the other an opportunity to discuss speaker placement, the best ways to set up and connect components, and so on. However, it so happened that I got carried away and spoke mostly about music, how it is being recorded and released and thus what one should look out for during the listening sessions. I apologize to everyone I failed, but it was probably inevitable – after all, this whole hobby is about music. And probably this is the best way to popularize your views and opinions, not just dry data and facts. It does not mean that this time I shall skip the methodology that I have worked out, but only that I will shed a bit of light on it. The test methodology is governed by its laws. One needs to determine all the basic sound elements of a given product, then project it on the performance of other similarly priced products and finally evaluate it. The tests you read in "High Fidelity" are actually a form of notes, reflections, conclusions. Their "raw" version includes the perception of specific albums and tracks. So I suggest this time, to break the routine, something similar to the "first version" of the test, which only later is synthesized the final text. I would like to take a look at four records I bought within two weeks before Storm Mk2 arrived, and it so happened these were all Polish ones. Then we shall move to a short review of the discs I usually use during turntables' reviews, and finally to the summary. I'm talking about individual discs, because it's only when we know where the recording came from, how it was prepared, we can better understand the music itself, and why the record sounds one way or the other. And at the very end one can try to evaluate the sound of the device used to play this particular music. 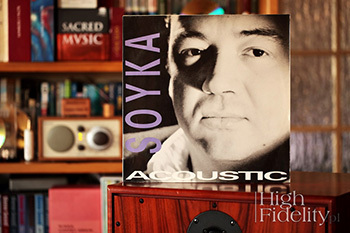 The Stanisław Soyka album Acoustic was released in 1991 by the Zig-Zac label. 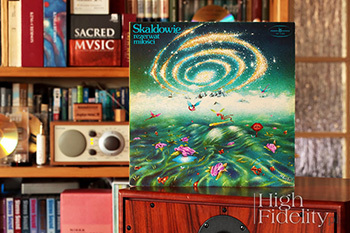 Recorded in August 1990 by Peter Sedlaczek in Krakow's studio STU (also first few Maanam's recording were made there) and in Szczecin Polish Radio's studios, were mixed in Warsaw in the Polish Radio S-4 Studio with Leszek Kamiński, who was soon to become the most important Polish sound producer. It was an analog recording and so was the mix. The vinyl version, however, is a rarity, and the recordings are known primarily from the 2002 CD (Pomaton EMI) reissue. 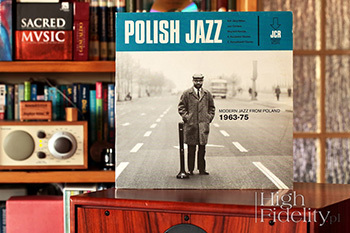 An interesting fact - the Wikipedia.pl informs that the recordings were made in Wisla Studio, and the Internet Catalog of Polish Gramophone Records claims that it was Joanna Sedlaczek who produced this record. Where do these discrepancies come from? I do not know. The LP version sounds “light”, you can even say that too lightly. The Storm Mk2 presented the voice closely while the rather light sounding and slightly colored piano was placed in the back. Still, the sound was not dry or too bright (it's obviously relative, but I'm talking about my impressions). AS did not seem to make sound brighter or dry. And when in I Never Felt This Before came the bass and drums, sound got deeper, more slummy. After a while I realized that bass was rather monotonous. But that's how it sounded on the records and the turntable only presented it accurately without making it softer. So the low range, despite the fact it was quite tight was not tiring, I accepted it as it was. The top end was soft, without particular selectivity and resolution. Nevertheless, the “spirit” of the event was there, rising above all, making sense of the whole performance. In turn, the relations between instruments were conveyed perfectly. I have two copies of this album. I bought this one because for 25 PLN I got a mint version (unfortunately without an insert). The downsides are quite high numbering of the matrix - A-2 / B-3. Well, but it contains such evergreens as Wierniejsza od marzenia and Dopóki jesteś. 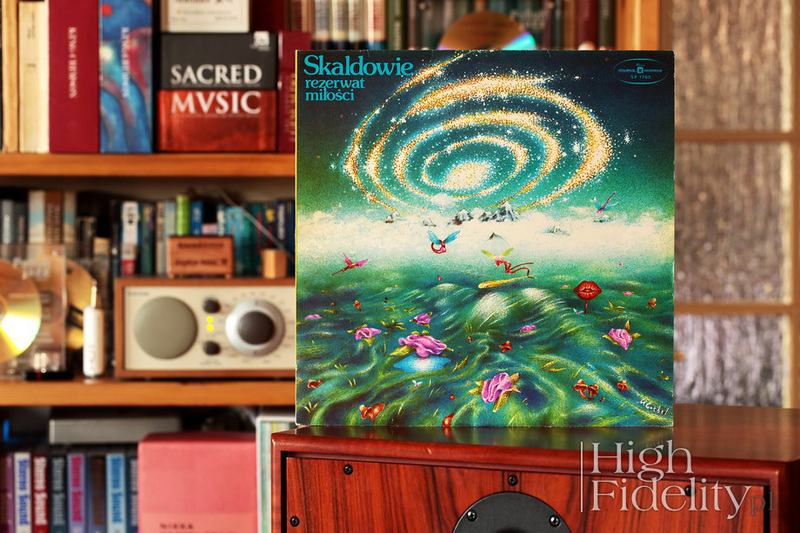 From my point of view more interesting are other tracks, though - those with Wladyslaw Komendarek on synthesizers. At the time he was a member of the Exodus band. Wikipedia.pl wrongly ignores his participation in the Nie widzę ciebie w swych marzeniach, mentioning only that Stanislaw Wenglorz guest starred in it. The material on this disc is recorded in various ways, i.e. the idea for a sound differs from a track to track. There are also some common elements, such as a narrow soundstage and rolled off both range extremes. Vocals sounds very distinctly because they are limited only to a middle of the range. If, however, we know what we are listening to, we can easily find a "testimony" of the times in this album – similarly to Soyka record - and then these defects become traits, and these turn into a particular story. 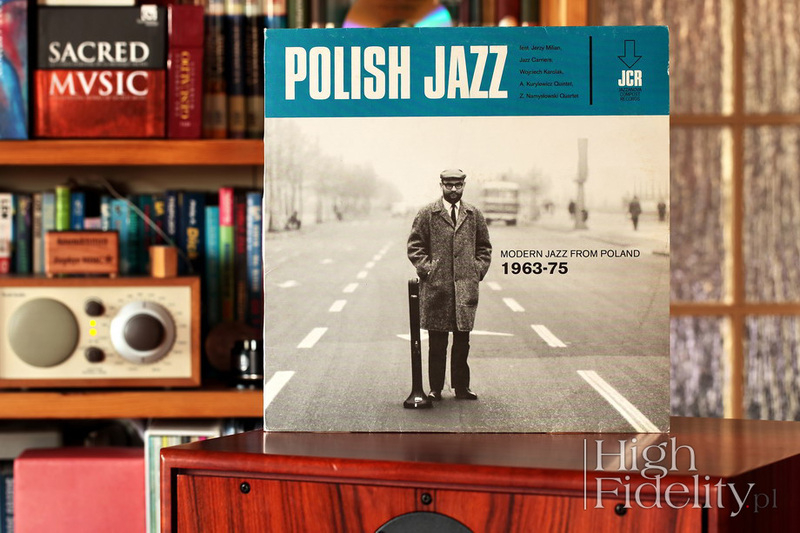 All the more so because there are excellent fragments here, like Jerzy Tarsinski's guitar solos in the Jasny dzień przynosisz and passages with Komendarek's synthesizers. The reviewed turntable showed these elements clearly, but without unduly emphasizing the defects. The difference between this record and the previously listened to, Soyka's one was huge, their musical and sonic aesthetics were clear. They both shared a kind of "fidelity" to the spirit of music, ie if the Acoustic was to be bright and light, it was so, and if the Rezerwat... was supposed to be rather warm and dense, it was. The turntable worked well with these records as a "relay" that was trying to stay in the shadows. Which does not mean it was clinically cold, far from it!